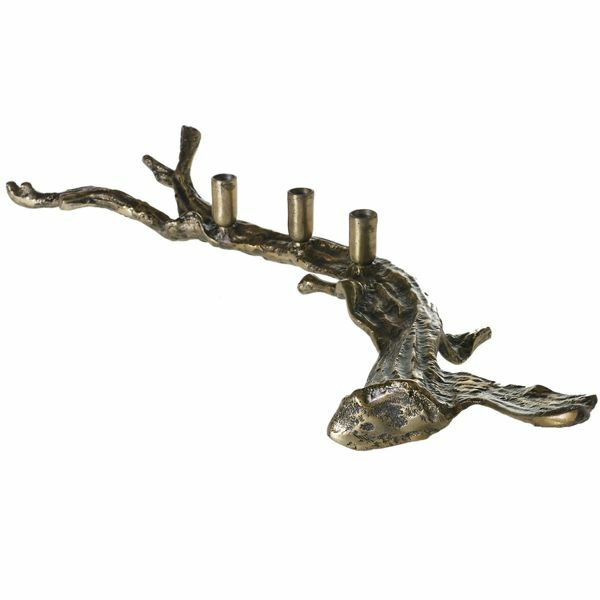 Constructed of aluminum, this driftwood-like taper candleholder is sure to make an impress center piece for your table or adornment for the mantelpiece. Holds three tapers. 36” long.